China is pursing AI hegemony at the domestic and regional level. It will have consequential impacts for the consolidation of CPP and President’s Xi Jinping’s power. In particular, successfully deploying a nationwide AI-based technology will promote social stability in China. It will also facilitate the leapfrogging of China’s economic development. Simultaneously, pervasive AI-based monitoring significantly lowers the cost of authoritarian governance resulting in the consolidation of the CCP’s position as the central and enduring politic unit in China. The long-term objective of AI’s nationwide deployment is to allow the CCP leadership to achieve its twin goals of realizing “socialist modernization” by 2035, and to “build a modern socialist country that is strong, prosperous, democratic, culturally advanced, and harmonious” by 2049. At the same time, AI hegemony for China is a strategy to migrate the axis of US-China competition to the technological realm where China’s size and its closed “Chinanet” system gives it asymmetric comparative advantages. If this strategy is successfully prosecuted, these asymmetries would allow China to reshape global trade and help China secure its core interests. China’s quest for AI dominance is related to national development strategies, conceived as the China’s Made in China 2025/ 中国制造 2025 plan. Successfully creating an AI-based digital economy, China may be able to transition its economy away from heavy manufacturing and toward high technology, services, and robotics, enabling it to shift away from its current economic growth model. As of November 2018, China’s total GDP comprises of 40% being generated by the manufacturing sector and 51.6% being generated by the services sector. Compared to countries within the region, this service sector figure is less than South Korea at 60%, Japan at 70% and many other East Asian economies. In terms of quality and scale of service sector jobs being created, there are concerns that the trajectory needed to escape the middle-income trap is not on target. With that in mind, policymakers in Zhongnanhai are cognizant of the role an AI-based digital economy would have in transitioning the Chinese economy toward sustainable high quality technological-based growth. Congruently, AI-based technology cements the CCP’s political position domestically through the deployment of a social credit system that rewards or punishes citizen behavior according to rules laid out by the government. This significantly decreases the cost of authoritarian rule through pervasive Orwellian-like monitoring of society and sanctioning of any anti-Party political activities. Importantly, the deploying of AI to decrease the costs of authoritarian rule is an attractive model for other authoritarian states. This will likely cascade into a convergence of support for China’s model of social control and one-party political engineering. The development of a closed digital system Chinanet using AI technologies will impact the evolution of the BRI and the integrity of the global production network. On the BRI front, participating states may find themselves in a position in which they must adopt the Chinanet system to maximize the benefits that come together with the BRI. Getting on board the digital corridor of the BRI has benefits. It provides access to participating states to the plethora of digital apps that give them access to the Chinanet’s cashless payment system which decreases costs and increases both the speed and efficiency of commerce. Importantly, it provides access to the largest digital market on the planet. For emerging states along the BRI, these new capabilities would be game-changing in terms of promoting social economic development. Potentially outweighing the benefits of the digital corridor of the BRI may be the closed nature of the Chinanet system and the associated lack of privacy protection in that the Chinese government can access private information when and how they see fit. This means that proprietor data, including intellectual property but also private information, may be accessible to China’s Office of the Central Cyberspace Affairs Commission. There are questions about how the Chinanet system and BRI may affect the global production network as well. Will Japanese and other businesses be compelled to duplicate their production networks into a China-based closed digital platform and a non-Chinese based open digital platform? If so, this would increase transaction costs of doing business, shorten supply chains and potentially fracture the global production network. The consequences for Japanese businesses are consequential as China remains Japan’s largest trading partner but also an important location for the manufacturing of Japanese products. States on and off the BRI are growing aware of some of the pitfalls in openly embracing the BRI. Sri Lanka, Pakistan, Malaysia are but a few of the states that have been subject to the so-called debt trap diplomacy associated with the BRI, sentiments about neocolonialism, and concerns over most benefits of BRI projects benefiting Chinese businesses rather than local businesses and communities. This has caused states to re-think BRI participation. Noteworthy, growing awareness of the AI-based closed Chinanet system and its lock-in effects will increase suspicions about the BRI in 2019 and beyond. This pushback will have consequences for the BRI and domestic politics in the year ahead, especially as the BRI is President Xi Jinping’s signature policy initiative and that it has been written into the CCP constitution. Domestically, critics argue that the global pushback against the BRI is related to not so much how fast China has extended its global footprint under President Xi, but rather how much China has overextended itself under his leadership. For example, the BRI now has Antarctic, Arctic, African, Pacific Islands, and Eurasian components. The AI-based digital layer of the BRI further muddies the waters by providing ammunition for BRI, Xi, and China critics. For many, the growing chorus of BRI and China-related criticism abroad and the hard line taken by the Trump administration, as evidenced by the trade war, is a damning rebuke of Xi’s leadership style, ambitions, and assertive foreign policy. The domestic backlash includes high-profile essays by prominent scholars such as Xu Zhangrun/许章润, a professor of law at Beijing’s Tsinghua University, who wrote an essay critical of Xi’s administration. Former bureaucrats have also voiced their dismay with President Xi’s administration such as China’s former chief trade negotiator Long Yongtu/龙永图who criticized Beijing’s ‘unwise’ tactics in US tariff war. There has even been criticism of President Xi’s assertiveness in the militarization of the South China Sea in rejecting the July 2016 Permanent Court of Arbitration’s decision rejecting Beijing’s expansive territorial claims in the SCS. The domestic backlash will compel the Xi administration to recalibrate its BRI strategy in 2019 and over the coming years. We have already seen this with Japan and China agreeing to engage in third country infrastructure cooperation to enhance the BRI’s reputation by linking it to Japan’s longstanding reputation for high quality, transparent, infrastructure building that has left a legacy of no-strings attached infrastructure development but crucially human capital development as well. The 90-day pause in the escalation of the US-China trade war to pursue a negotiated settlement between China and the US on the trade front is not going to resolve the substantial political, security, trade, and technology differences between China and the United States. 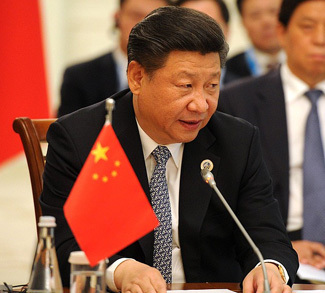 China’s President Xi understands the best way to preserve his and the CCP’s power and to achieve China’s national objectives is through domestic and regional AI hegemony. This objective is incompatible with the US view that trade must be free, fair, and reciprocal. It is also incongruous with the US position that the market, not governments, should determine how markets work. Saliently, China’s AI hegemonic quest will challenge the United States’ ability to maintain its dominant political, economic, and security presence in the region. Japan is in the precarious position of having to navigate between its economic interests and its security interests. It may need to carve out a role as a middle-man between China and the United States in 2019 and beyond to established shared digital rules to ensure that it is not forced to duplicate its production networks. This herculean challenge may not be achievable as the US steps up pressure on China as the Sino-US rivalry intensifies. In this case, Japan along with the US, the EU, and other like-minded countries may need to pool their AI resources to outcompete China in the race for AI hegemony.